There’s a reason why comfort food is called comfort food. Aside from the great feeling of tasting something delicious, comfort food feels like the hug you need when you’ve had a bad day or when you’re feeling sad and lost. 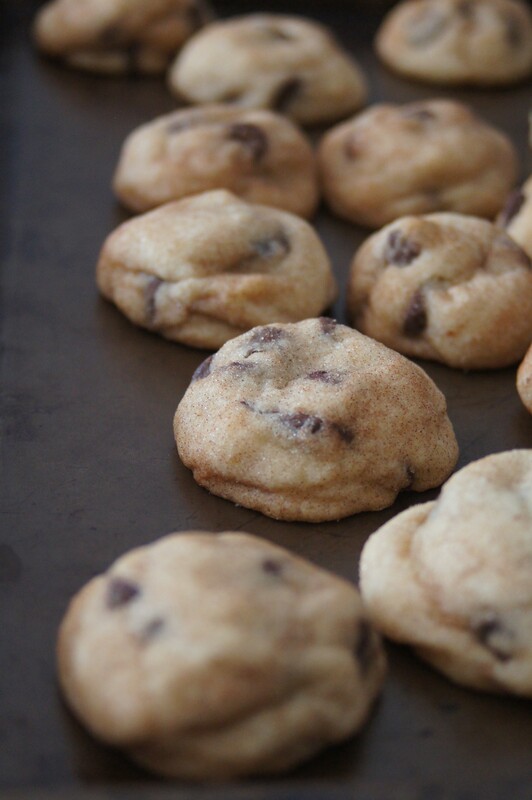 But to paraphrase Sir Isaac Newton (I mean really paraphrase), “What goes down must come up.” And as you climb out of the bottom and make your way back up to the top again, why not have a snickerdoodle filled with chocolate chips for the trip? I wish something like these chocolate chip snickerdoodles could solve everyone’s problems, but for a little while, while you’re putting all of the ingredients for these cookies together and sitting back and enjoying them, the world might seem OK.
On this Memorial Day weekend, I think of those that really need comfort: the families and friends of the brave men and women killed in the service of this great nation. I can’t even imagine half of the pain that they must feel during this holiday and every day. But I thank their loved ones for sacrificing their lives to keep us free and safe and the sacrifice they have made as families and friends. If you are a mother, father, brother, sister, husband, wife, or friend of someone that lost their lives during combat, I wish you healing and comfort. Preheat oven to 350°F. 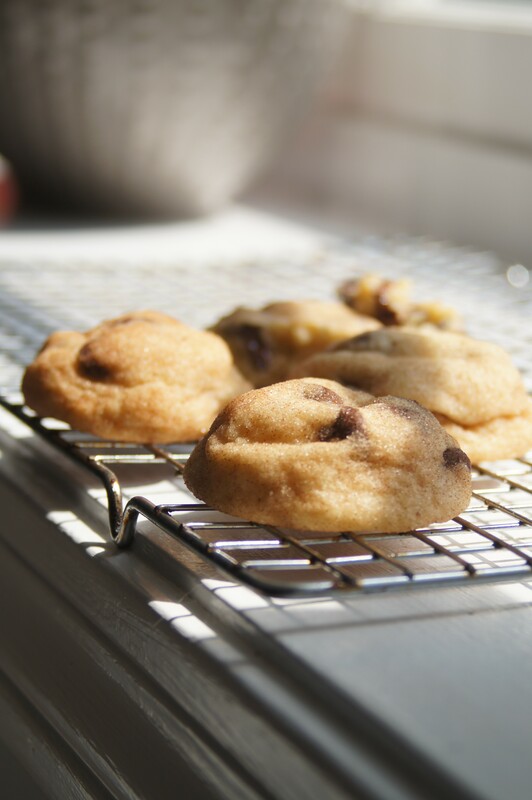 Line two cookie sheets with parchment paper or non-stick aluminum foil. Cream butter and 3/4 cup sugar with a stand mixer fitted with the paddle attachment (or you may use a hand mixer). Once the mixture is creamed and fluffy, mix in the egg and vanilla extract until smooth. Then mix in the baking soda, cream of tartar, and salt. 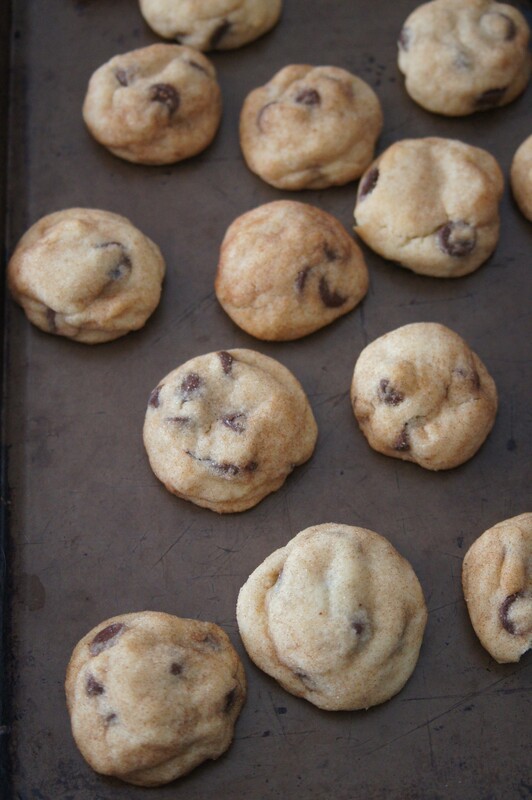 Slowly mix in flour until the mixture is just combined, then stir in the chocolate chips. In a separate small bowl place remaining 1/3 cup sugar and cinnamon and stir. 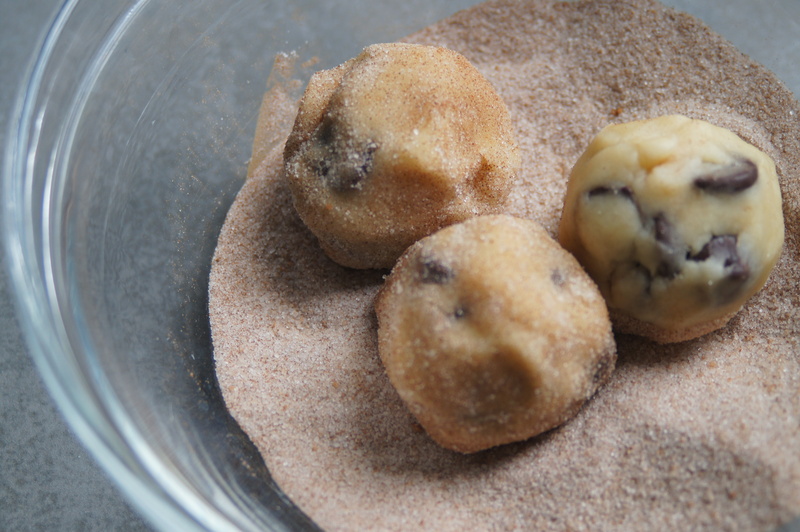 Scoop 2 tablespoon sized balls of cookie dough and roll them in the cinnamon sugar. 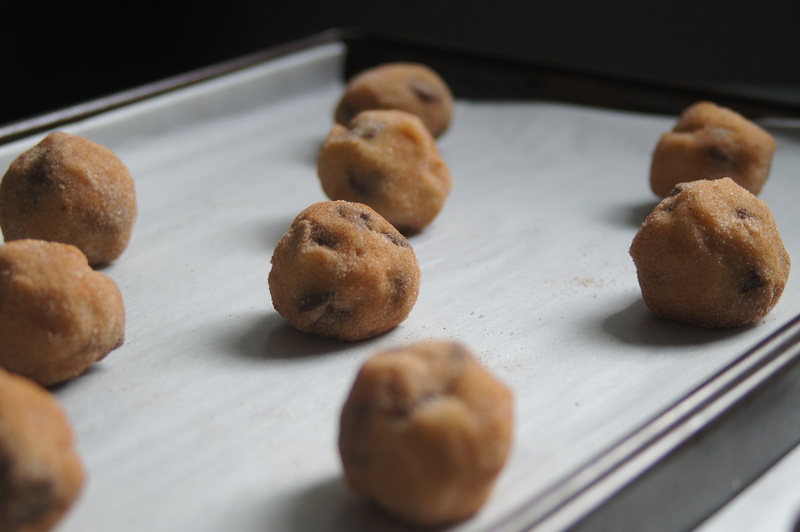 Place them 2” apart on the prepared cookie sheets. Bake for 9-11 minutes, or until the bottoms just start to turn golden brown. (I baked mine for 9 minutes). Cool at least 5 minutes on cookie sheet before removing.